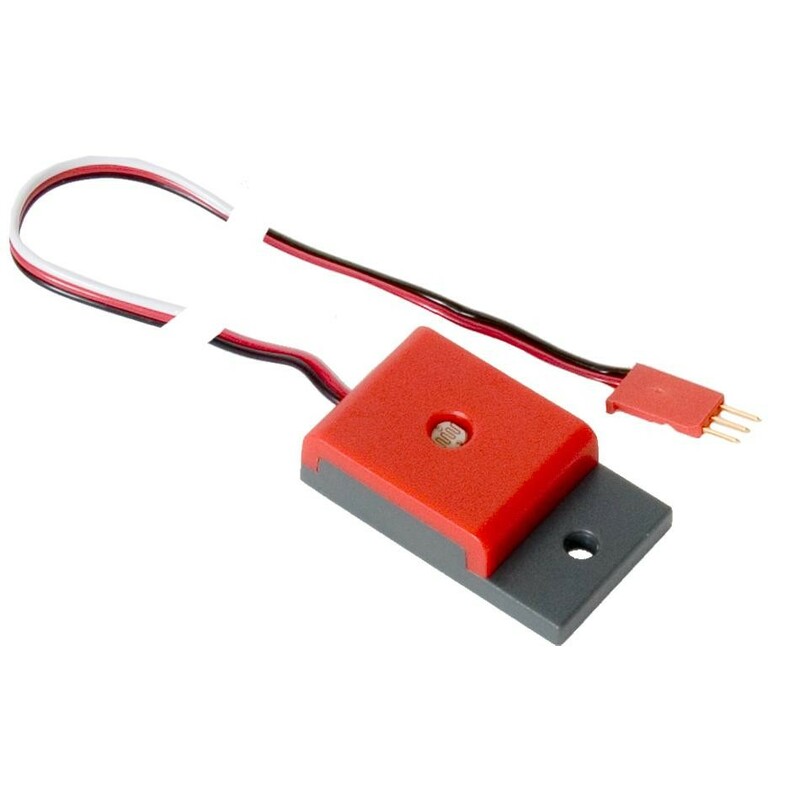 The light sensor uses a photocell that allows your robot to detect and react to light. With the light sensor, you can program a whole new range of capabilities to your robot. Compatibility: VEX Cortex Microcontroller; 3-Wire Extension Cables. Sensor: cadmium sulfosolenide (CdS) photoconductive photocell. Light sensor weight: 0.026 lbs (11.8 grams).